"Juilliard" redirects here. For the philanthropist who funded the founding of the school, see Augustus D. Juilliard. In 1905, the Institute of Musical Art, Juilliard's predecessor institution, was founded on the premise that the United States did not have a premier music school and too many students were going to Europe to study music. The Institute opened in the former Lenox Mansion, Fifth Avenue and 12th Street, on October 11. It moved in 1910 to 120 Claremont Avenue in the Morningside Heights neighborhood of Manhattan, onto a property purchased from Bloomingdale Insane Asylum. In 1920, the Juilliard Foundation was created, named after textile merchant Augustus D. Juilliard, who bequeathed a substantial amount of money for the advancement of music in the United States. In 1924, the foundation purchased the Vanderbilt family guesthouse at 49 East. 52nd Street and established the Juilliard Graduate School. In 1926, the Juilliard School of Music was created through a merger of the Institute of Musical Art and the Juilliard Graduate School. The two schools shared a common Board of Directors and President (Columbia University professor John Erskine) but retained their distinct identities. The conductor and music-educator Frank Damrosch continued as the Institute's dean, and the Australian pianist and composer Ernest Hutcheson was appointed dean of the Graduate School. In 1937, Hutcheson succeeded Erskine as president of the two institutions, a job he held until 1945. In 1946, the Institute of Musical Art and the Juilliard Graduate School completely merged to form a single institution. The president of the school at that time was William Schuman, the first winner of the Pulitzer Prize for Music. Schuman established the Juilliard String Quartet in 1946 and the Dance Division in 1951, under the direction of Martha Hill. William Schuman graduated from Columbia's Teachers College (BS 1935, MA 1937) and attended the Juilliard Summer School in 1932, 1933 and 1936. While attending Juilliard Summer School, he developed a personal dislike for traditional music theory and ear training curricula, finding little value in counterpoint and dictation. Soon after being appointed as president of the Juilliard School of Music in 1945, William Schuman created a new curriculum called the Literature and Materials of Music (L&M), designed for composers to teach. L&M was Schuman's reaction against more formal theory and ear training, and as a result did not have a formal structure. The general mandate was "to give the student an awareness of the dynamic nature of the materials of music." The quality and degree of each student's education in harmony, music history or ear training was dependent on how each composer-teacher decided to interpret this mandate. Dr. Joseph W. Polisi became president of Juilliard in 1984 after Peter Mennin died. Polisi's many accomplishments include philanthropic successes, broadening of the curriculum and establishment of dormitories for Juilliard's students. In 2001, the school established a jazz performance training program. In September 2005, Colin Davis conducted an orchestra that combined students from the Juilliard and London's Royal Academy of Music at the BBC Proms, and during 2008 the Juilliard Orchestra embarked on a successful tour of China, performing concerts as part of the Cultural Olympiad in Beijing, Suzhou and Shanghai under the expert leadership of Maestro Xian Zhang. In 1999, the Juilliard School was awarded the National Medal of Arts. In 2006, Juilliard received a trove of precious music manuscripts from board chair and philanthropist Bruce Kovner. The collection includes autograph scores, sketches, composer-emended proofs and first editions of major works by Mozart, Bach, Beethoven, Brahms, Schumann, Chopin, Schubert, Liszt, Ravel, Stravinsky, Copland and other masters of the classical music canon. Many of the manuscripts had been unavailable for generations. Among the items are the printer's manuscript of Beethoven's Ninth Symphony, complete with Beethoven's handwritten amendments, that was used for the first performance in Vienna in 1824; Mozart's autograph of the wind parts of the final scene of The Marriage of Figaro; Beethoven's arrangement of his monumental Große Fuge for piano four hands; Schumann's working draft of his Symphony No. 2; and manuscripts of Brahms's Symphony No. 2 and Piano Concerto No. 2. The entire collection has since been digitized and can be viewed online. In 2010 philanthropist James S. Marcus donated 10 million dollars to the school to establish the Ellen and James S. Marcus Institute for Vocal Arts at the school. On September 28, 2015, the Juilliard School announced a major expansion into Tianjin during a visit by China's first lady, Peng Liyuan, the institution's first such full-scale foray outside the United States, with plans to offer a master's degree program. Admittance into The Juilliard School is highly competitive. In 2007, the school received 2,138 applications for admission, of which 162 were admitted for a 7.6% acceptance rate. For the fall semester of 2009, the school had an 8.0% acceptance rate. In 2011, the school accepted 5.5% of applicants. For Fall 2012, 2,657 undergraduate applicants were received by the college division and 7.2% were accepted. Juilliard admits both degree program seekers and pre-college division. All applicants who wish to enroll in the Music Advancement Program, for the Pre-College Division, must perform an audition in person before members of the faculty and administration and must be between ages 8 and 14. Before being scheduled for an audition, each applicant must submit a complete application for admission. After auditions, the school invites select applicants to meet with a program administrator. The 75th percentile accepted into Juilliard in 2012 had a GPA of 3.96 and an SAT score of 1970. The school offers courses in dance, drama and music. The Dance Division was established in 1951 by William Schuman with Martha Hill as its director. It offers a Bachelor of Fine Arts or a Diploma. The Drama Division was established in 1968 by the actor John Houseman and Michel Saint-Denis. Its acting programs offer a Bachelor of Fine Arts, a Diploma and, beginning Fall 2012, a Master of Fine Arts. Until 2006, when James Houghton became Director of the Drama Division, there was a "cut system" that would remove up to one-third of the second-year class. The Lila Acheson Wallace American Playwrights Program, begun in 1993, offers one-year, tuition-free, graduate fellowships; selected students may be offered a second-year extension and receive an Artist Diploma. The Andrew W. Mellon Artist Diploma Program for Theatre Directors was a two-year graduate fellowship that began in 1995 (expanded to three years in 1997) this was discontinued from autumn 2006. The Music Division is the largest of the school's divisions. Available degrees are Bachelor of Music or Diploma, Master of Music or Graduate Diploma, Artist Diploma and Doctor of Musical Arts. Academic majors are brass, collaborative piano, composition, guitar, harp, historical performance, jazz studies, orchestral conducting, organ, percussion, piano, strings, voice and woodwinds. The collaborative piano, historical performance and orchestral conducting programs are solely at the graduate level; the opera studies and music performance subprograms only offer Artist Diplomas. The Juilliard Vocal Arts department now incorporates the former Juilliard Opera Center. All Bachelor and Master courses require credits from the Liberal Arts course; Joseph W. Polisi is a member of the Liberal Arts faculty. The Pre-College Division teaches students enrolled in elementary, junior high, and high school. 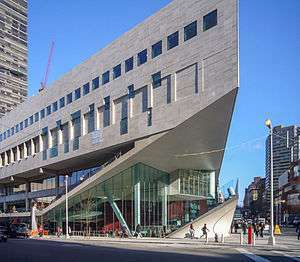 The Pre-College Division is conducted every Saturday from September to May in the Juilliard Building at Lincoln Center. All students study solfège and music theory in addition to their primary instrument. Vocal majors also must study diction and performance. Similarly, pianists must study piano performance. String, brass and woodwind players as well as percussionists also participate with orchestra. The pre-college has two orchestras, the Pre-College Symphony (PCS) and the Pre-College Orchestra (PCO). Placement is by age and students may elect to study conducting, chorus and chamber music. The Pre-College Division began as the Preparatory Centers (later the Preparatory Division), part of the Institute of Musical Art since 1916. The Pre-College Division was established in 1969 with Katherine McC. Ellis as its first director. Olegna Fuschi served as director from 1975 to 1988. The Fuschi/Mennin partnership allowed the Pre-College Division to thrive, affording its graduates training at the highest artistic level (with many of the same teachers as the college division), as well as their own commencement ceremony and diplomas. In addition to Fuschi, directors of Juilliard's Pre-College Division have included composer Dr. Andrew Thomas. The current director of the Pre-College Division is Yoheved Kaplinsky. The Music Technology Center at the Juilliard School was created in 1993 to provide students with the opportunity to use digital technology in the creation and performance of new music. Since then, the program has expanded to include a wide offering of classes such as, Introduction to Music Technology, Music Production, Film Scoring, Computers In Performance and an Independent Study In Composition. 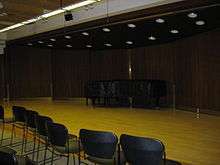 In 2009, the Music Technology Center moved to a new, state of the art facility that includes a mix and record suite and a digital "playroom" for composing and rehearsing with technology. Together with the Willson Theater, the Music Technology Center is the home of interdisciplinary and electro-acoustic projects and performances at the Juilliard School. The Juilliard Electric Ensemble was created in 2003 to provide students from all three of Juilliard’s divisions (dance, drama, and music) with an opportunity to use new technology in the creation and performance of interactive and multi-disciplinary work. In past performances, the Juilliard Electric Ensemble has used interactive technology to expand the range of their instruments, control audio and visual elements with electronic tools, shape video and projection design in real-time by moving through a virtual field and interact with artist and computers around the world via the web. Since its debut, the Electric Ensemble has performed works by over 50 composers including Joan La Barbara, Kenji Bunch, Eric Chasalow, Sebastian Currier, Avner Dorman, Jonathan Harvey, Jocelyn Pook, Steve Reich, Daniel Bernard Roumain, Karlheinz Stockhausen, Morton Subotnick, Alejandro Viñao, Jacob ter Veldhuis, David Wallace, Mark Wood and Peter Wyer. 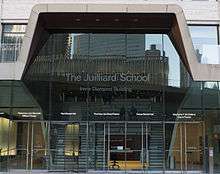 The Juilliard School has a variety of ensembles, including chamber music, jazz, orchestras and vocal/choral groups. Juilliard's orchestras include the Juilliard Orchestra, the New Juilliard Ensemble, the Juilliard Theatre Orchestra and the Conductors' Orchestra. The Axiom Ensemble is a student directed and managed group dedicated to well-known 20th century works. In addition, several ensembles of Juilliard Faculty, called Resident Ensembles, perform frequently at the school. These groups include the Juilliard String Quartet, the American Brass Quintet, the New York Woodwind Quintet and Juilliard Baroque. The Juilliard Second Century Fund aims to raise $300 million to enable the Juilliard School to sustain its eminence in performing arts education well into the school’s next century. The tuition expected for 2011 is about $48,670 for the school year. Expanded and renamed on Juilliard’s 100th anniversary, the fund supports six components that help Juilliard continue to recruit the world’s best young artists and faculty, offer educational programs that maintain the quality of a Juilliard education, and increase the size and functionality of Juilliard's physical plant. Fundraising specifically targeted to the Pre-College Division began during 2004 with a benefit concert given by the Park Avenue Chamber Symphony. The event raised $90,000 to establish a Pre-College Parents' Association Scholarship Fund. During 2005, Juilliard produced its own benefit concert for the Pre-College Division featuring its own students directed by faculty member Itzhak Perlman and hosted by entertainer Bill Cosby to add to this fund. In April 2009, it was announced that the Music Advancement Program (MAP) would be curtailed due to budget reductions. After strong opposition to the reductions, the program, which helps inner-city children get music lessons, was then reinstated after several donors pledged money to support it. For a list of notable faculty, see List of Juilliard School people § Notable teachers. For a list of notable alumni, see List of Juilliard School people § Notable alumni. ↑ "QS World University Rankings by Subject 2016 - Performing Arts". Top Universities. QS Quacquarelli Symonds. Retrieved 14 September 2016. ↑ "About Juilliard: A Brief History". The Juilliard School. January 4, 2009. Retrieved March 25, 2010. ↑ "Historical Significance". morningsideheights.org. Archived from the original on February 22, 2014. Retrieved 2014-10-21. ↑ Jeni Dahmus (March 2010). "Time Capsule". The Juilliard Journal Online. Retrieved March 25, 2010. ↑ A Brief History, The Juilliard School. Retrieved June 13, 2010. ↑ Juilliard School, The, The Columbia Electronic Encyclopedia, 6th ed. 2007, Columbia University Press, found in Infoplease. Retrieved June 13, 2010. ↑ "Lifetime Honors: National Medal of Arts". National Endowment for the Arts. Retrieved March 25, 2010. ↑ Fred Plotkin (July 7, 2015). "Remembering James S. Marcus". WQXR Online. ↑ Michael Cooper (September 28, 2015). "Juilliard's China Plans Move Forward". The New York Times. Retrieved February 3, 2016. ↑ "The Juilliard School, New York". Citytowninfo.com. Retrieved May 9, 2010. ↑ "Juilliard School". U.S. News & World Report. Retrieved 2010-12-16. ↑ Finnegan, Leah (March 30, 2011). "College Admissions Rates Drop For The Class Of 2015". The Huffington Post. Archived from the original on March 27, 2014. Retrieved April 23, 2011. ↑ "About Juilliard". The Juilliard School. Retrieved November 25, 2012. ↑ "Juilliard school". Parchment.com. Retrieved November 25, 2012. ↑ "Dance". The Juilliard School. Retrieved September 7, 2016. ↑ "Drama". The Juilliard School. Retrieved September 7, 2016. ↑ "Liberal Arts". The Juilliard School. Retrieved September 7, 2016. ↑ "Juilliard Pre-College". The Juilliard School. Retrieved September 7, 2016. ↑ "Center for Innovation in the Arts". The Juilliard School. Retrieved September 7, 2016. ↑ Lisa Robinson (February 2008). "New Gifts—and New Venue Names—for Juilliard". The Juilliard Journal Online. Retrieved September 8, 2016. Ten Years of American Opera Design at the Juilliard School of Music, published by New York Public Library, 1941. The Juilliard Report on Teaching the Literature and Materials of Music, by Juilliard School of Music. Published by Norton, 1953. The Juilliard Review, by Richard Franko Goldman, published by Juilliard School of Music, 1954. The Juilliard Journal, published by the Juilliard School, 1985. Nothing But the Best: The Struggle for Perfection at the Juilliard School, by Judith Kogan. Published by Random House, 1987. ISBN 0-394-55514-7. Guide to the Juilliard School Archives, by Juilliard School Archives, Jane Gottlieb, Stephen E. Novak, Taras Pavlovsky. Published by The School, 1992. Juilliard: A History, by Andrea Olmstead. Published by University of Illinois Press, 2002, ISBN 0-252-07106-9. A Living Legacy: Historic Stringed Instruments at the Juilliard School, by Lisa Brooks Robinson, Itzhak Perlman. Amadeus Press, 2006. ISBN 1-57467-146-4. Andrea Olmstead papers, 1970-2013 Music Division, The New York Public Library. Olmstead's papers hold the research she carried out for her book on Juilliard, and include recorded interviews with various faculty, former students, and staff.